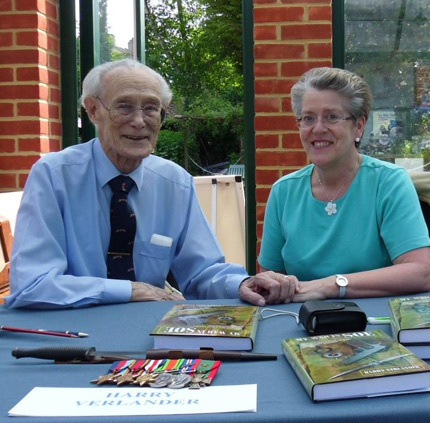 A very welcome return to the Museum was made by SOE veteran Harry Verlander who as ever was accompanied by his charming wife Elizabeth. 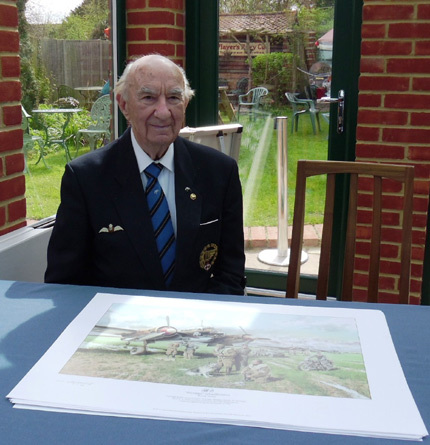 He had many great tales as always of his daring service behind enemy lines and it is always astonishing to think that having joined the Army underage, Harry had not reached his nineteenth birthday when he was parachuted into Occupied France in July 1944. Less than a year later he was in the thick jungles of Burma taking on the Japanese. Harry’s book, ‘My War in SOE’ is highly recommended reading. Exclusive new Geoff Nutkins print now available! 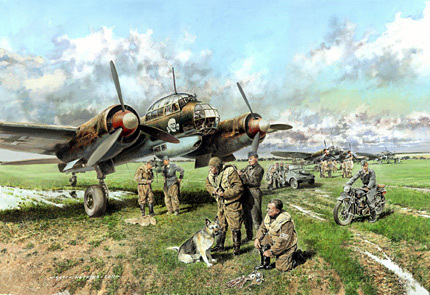 We are pleased to announce a new print by our own Geoff Nutkins – “Totenkopf” Schnellbombers. Each costs just £39.50 + p&p and all proceeds go towards the restoration of our Ju88 cockpit section. For more information, or to place your order, visit Geoff’s Avi-Art site. Mothering Sunday was blessed with fine Spring weather and this encouraged many to visit Shoreham that helped to make a great start for the 2011 season. A special highlight of the day was the visit to the Museum by Polish RAF veteran Adam Ostrowski, who flew Spitfires with 317 ‘Wilenski’ Squadron during 1944-45. He very kindly chatted to visitors and signed personal items, including the new Geoff Nutkins print ‘Totenkopf Schnellbombers’. The winter work in the Museum, Tearoom and Teagarden were favourably commented on by visitors and this augurs well for a successful year ahead. 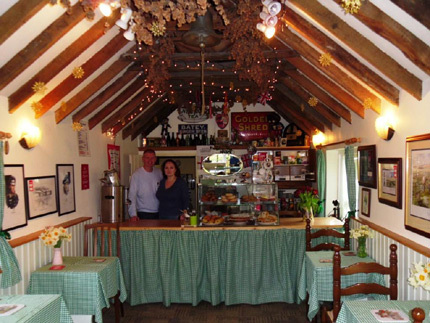 Particular mention goes to volunteers Kevin and Lindsey, who laboured hard to transform the Tearoom and their sterling efforts are clear to see. Hopefully the new-look Tearoom coupled to the pleasant atmosphere of the Teagarden will attract a greater number of regular visitors. A warm welcome to Shoreham is guaranteed. You are currently browsing the Shoreham Aircraft Museum – News archives for April, 2011.